I love the flavour of Vengaya vadagam. 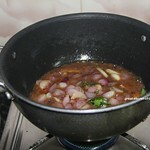 I have posted few dishes with Vengaya vadagam e.g. 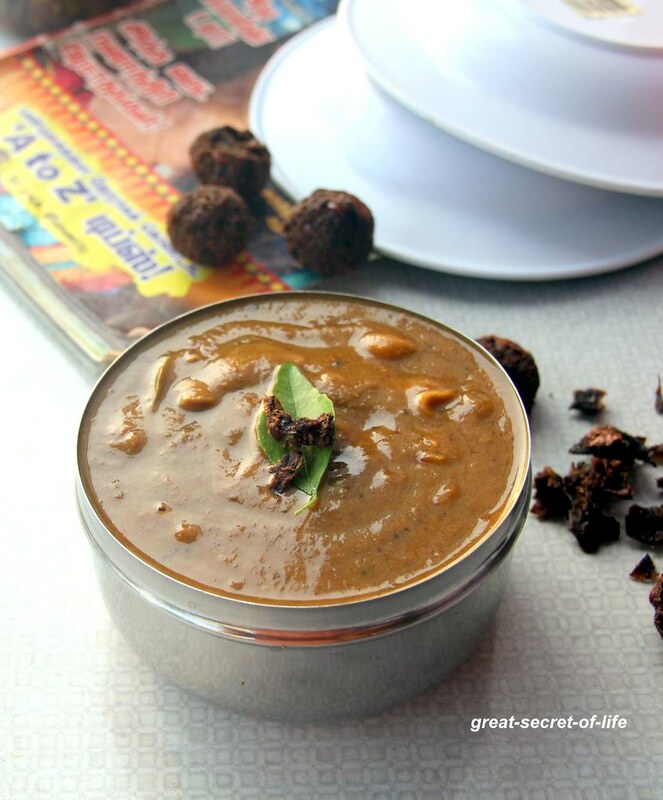 Vengaya vadagam chutney, kadasal , Paruppu Sambar. This is one of easy recipe and it tastes good with rice. This is one of my Sister's MIL specialty. 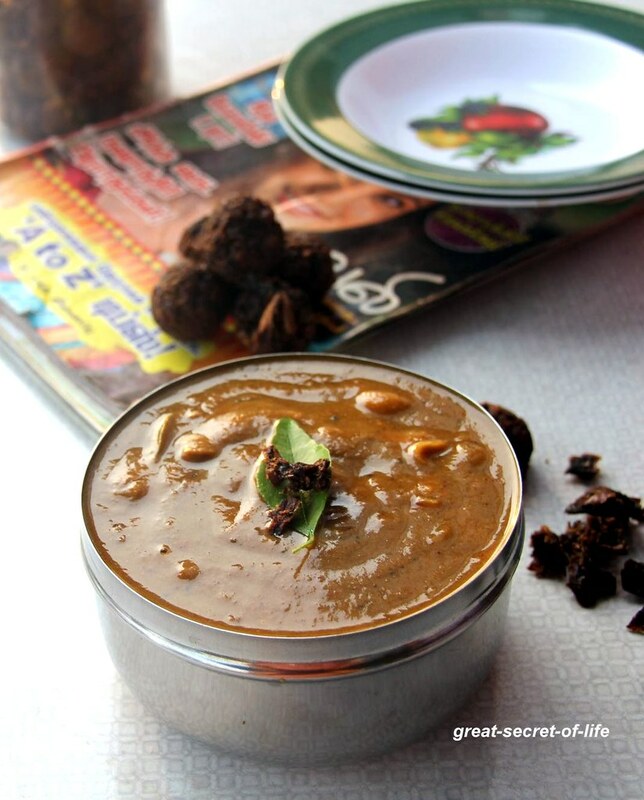 Soak tamarind in 1/4 cup of hot water for 30 mins and take paste from it. Dry roast Red chilli, coriander seeds and coconut. Grind it to smooth paste with vengaya vadagam. Keep it aside. 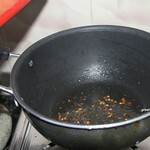 Heat kada / pan and add oil. 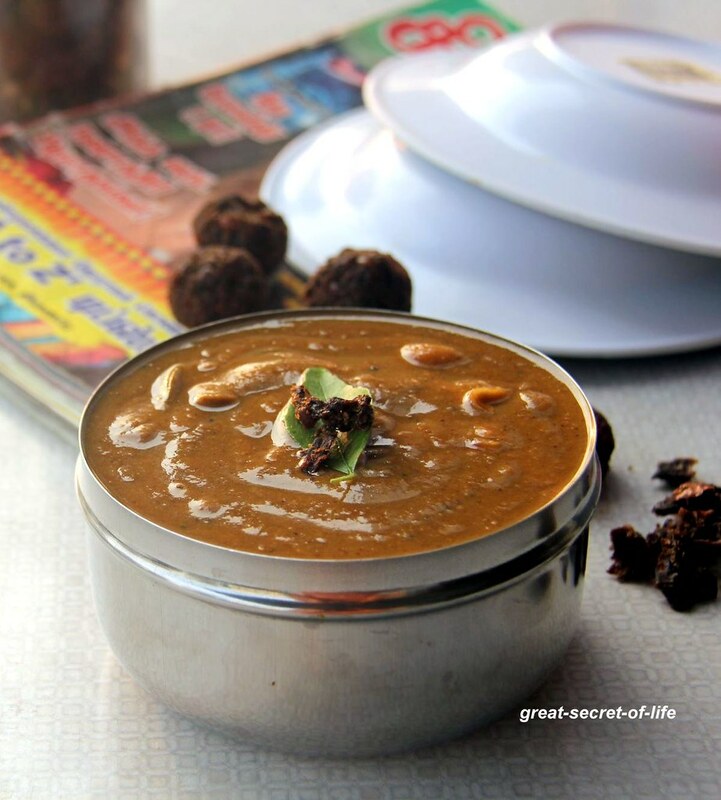 When it is hot add mustard seeds, fenugreek seeds and urad dhal. 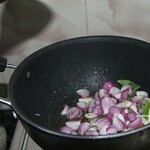 When mustard seeds starts to pop add onion and curry leaves Fry till onions are transparent. 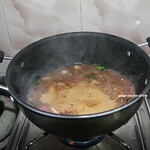 Add tamarind water and 2 cup of water. 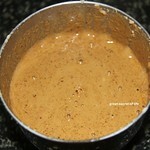 Add grinded paste and salt. Let it boil for another 3-5 mins. Switch off and serve it with rice. It taste good next day. Love it dear!! 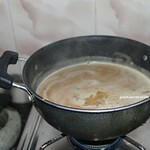 we use to make this yummy kuzhambu at our home!! Kuzhambu looks awesome, love the flavor of vadagam..
wow very very flavorful and delicious kozhambu :) tempting me !! super tangy kuzhambu, makes me drool!! !